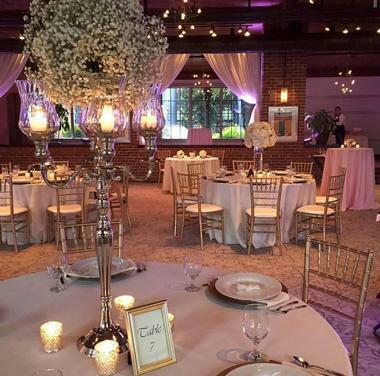 When it comes to celebrating a special occasion, whether romantic weddings and golden anniversaries or sweet sixteen birthdays and prom nights, Charlotte has an array of beautiful venues to choose from. Ranging from five-star, full-service sites to self-catering spots, here are some of the city’s best venues for special occasions. Exuding the elegance and charm of a bygone era, the Alexander Homestead is a beautifully preserved all-inclusive Queen Anne Victorian historical wedding venue in the heart of Charlotte. 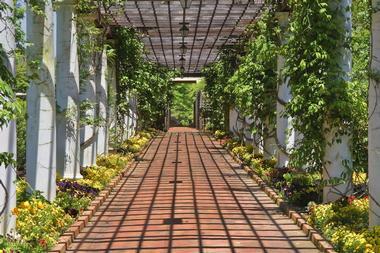 The circa 1903 estate caters for both indoor and outdoor weddings with magnificent gardens and an exclusive renovated dairy barn with space for up to 225 guests and a charming carriage house, which houses the estate’s Bridal Suite. The full-service wedding venue offers an array of services and packages, including event management and coordination, professional staff and parking attendants, complete set-up and clean-up, complimentary hors d’oeuvres, a gift table and guest book stand, and ample free parking. BanquetOne is an elegant venue that caters for special occasions such as weddings, anniversaries, birthdays, proms, and parties. Located in Charlotte near Huntersville with easy access from the I-77 and I-485, BanquetOne is fully equipped with stylish tables, chairs, and tablecloths for up to 150 guests and offers catering services if required. Services include set-up and cleaning of the venue, a state-of-the-art sound system with DVD and CD players, two HDTVs, high-speed wireless Internet, a kitchen with refrigerator, microwave, ice maker, and sink, and a separate bar area with a granite bar. The venue has plenty of free parking for guests. Big Chill is a full-service events venue that caters for a variety of special occasions from weddings and receptions to rehearsal dinners, corporate events, and birthday parties. Originally a jazz supper club with live music and celebrity acts, Big Chill is now one of Charlotte's premier special events venues with ample space for large groups, highly qualified professional staff, and all-inclusive packages. The 13,000-square-foot facility features a 1,000-square-foot dance floor and can cater for up to 300 guests for a sit-down dinner or 650 guests for a cocktail-style reception. Services include event management, complimentary hors d’oeuvres, all tableware with various linen options, and professional wait staff and bartenders. Located in the heart of Charlotte’s thriving arts and entertainment district, CenterStage@NoDa is a unique rental facility that caters for a range of special events and occasions. Based in a historical and beautifully renovated warehouse, the 10,000-square-foot venue boasts an industrial feel with an open floor plan, bow-trussed barrel roofing, and curtain dividers, allowing for a variety of events with up to 1,000 guests. Facility features and services include a built-in bar, tables, and chairs, a carpeted stage, a coat check or gift room, a large catering kitchen and banquet seating area, a private suite next to the main event hall, professional event management, and secure private parking. Set in 16 acres of lush woodlands filled with tropical trees and plants with a beautiful Southern plantation mansion, Deerpond Plantation is a magnificent venue for weddings, receptions, and other special celebrations. A large reception center and garden terrace offer a tranquil place for gatherings, while a 1,200-square-foot gazebo at the water’s edge makes an ideal location for wedding ceremonies. The venue is adaptable to cater for a variety of events and can host up to 250 guests in the reception hall, and 50 seated or 100 standing in the outdoor gazebo. 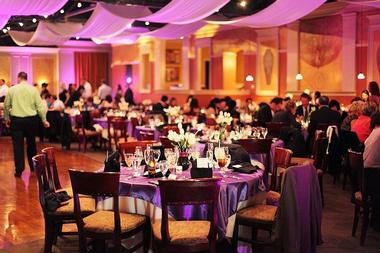 Services include professional wait and bar staff, tableware, and a wooden dance floor and PA system for a nominal fee. Located in downtown Charlotte, the Hilton Charlotte Center City presents an elegant venue for weddings and other special events. The award-winning hotel features over 30,000 square feet of flexible event space, including a grand ballroom and several smaller rooms that can accommodate up to 1,100 people. Located directly across from the Charlotte Convention Center, the hotel is ideally placed for both leisure and business functions and features an array of services, including onsite catering and banquet services, professional staff, access to the hotel’s luxurious accommodations and amenities, and ample free parking. Blending European chic and Southern hospitality, the award-winning Le Méridien Charlotte hotel provides a beautiful venue for weddings, receptions, and other special experiences. Located in the heart of uptown Charlotte, the hotel boasts over 65,000 square feet of shared, flexible event space that can cater for a variety of occasions, from intimate wedding ceremonies to lavish soirées and gala dinners. 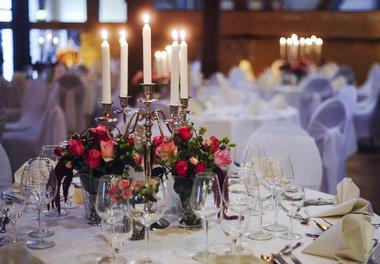 The hotel features five ballrooms, including a grand ballroom that can host up to 990 guests banquet style or 1,800 with cocktail tables, as well as smaller halls and rooms for more intimate celebrations. Services include wedding specialists and event management, professional staff, tailor-made packages, access to the hotel’s first-class accommodations and amenities, and ample parking for guests. The Levine Museum of the New South is an interactive museum dedicated to honoring and presenting a comprehensive interpretation of post-Civil War Southern history. The museum can be hired for special affairs such as weddings, rehearsal dinners, and corporate events for up to 600 guests and features several beautiful venues in which to host them. The New South Lobby and Sally Dalton Robinson Atrium are located in the heart of the museum and offer a spectacular space with high ceilings, skylights, and a wooden dance floor for receptions and parties. The Harris Hall is a flexible multi-purpose room that can accommodate a variety of functions and can be combined with the atrium for dining, cocktails, and dancing. 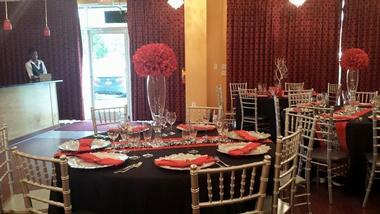 Services include a catering kitchen, a full-service bar, and complimentary parking. 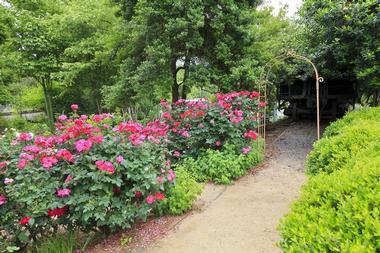 The McGill Rose Garden is a beautiful old-fashioned garden nestled on the edge of the NoDa Arts District that caters for significant affairs and occasions such as weddings, receptions, and anniversaries. 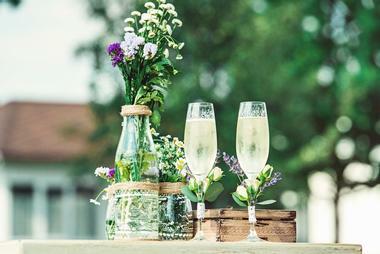 This unique wedding venue offers a range of packages for up to 100 guests that include the use of a professionally landscaped 2-acre garden, tables and chairs, an event planning and management team, accent tables for cakes, gifts and book signing, a PA system with microphone, and ample parking for guests. 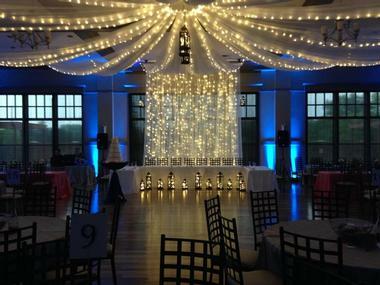 Additional services include an assortment of lights, from twinkle lights to vintage chandeliers. NOAH’s is a beautiful event venue that caters to a variety of celebratory affairs, from weddings and receptions to rehearsal dinners and engagement parties. The site features unique ceiling technology that can dramatically transform the event space to suit any occasion and provides an array of services, including tables and chairs, set-up and clean-up, and state-of-the-art audiovisual equipment. In addition to standard services, specialty tablecloths and customizable up-lighting are available, as well as complimentary high-speed wireless Internet, easels, a fully equipped catering prep kitchen with icemaker, and plenty of free parking for guests. Centrally located in the heart of Charlotte’s financial district, the Omni Charlotte Hotel is the perfect destination for special celebrations such as weddings, receptions, and corporate events. 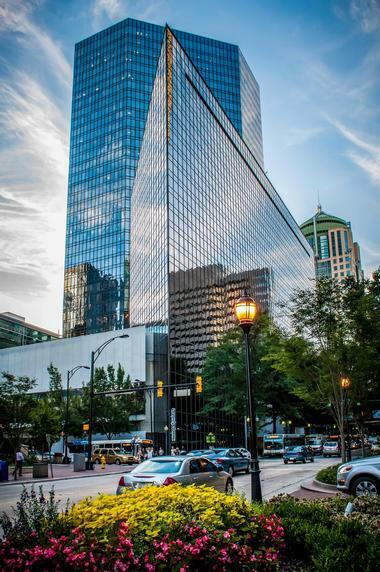 Linked to the city via a sky bridge, the Omni Charlotte Hotel boasts an ideal location with over 16,000 square feet of elegant gathering spaces as well as attentive service and an inviting atmosphere. The award-winning hotel offers two beautiful venues to choose from – a grand ballroom with 16-foot ceilings, crystal chandeliers, and upscale décor that can accommodate up to 500 guests, and the Pomodoro Room, with dramatic floor-to-ceiling windows and spectacular views for more intimate affairs of up to 100 guests. 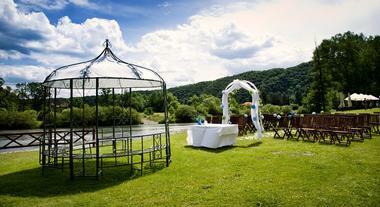 The Pine Island Country Club offers a picturesque setting for weddings, receptions, and other celebrations. 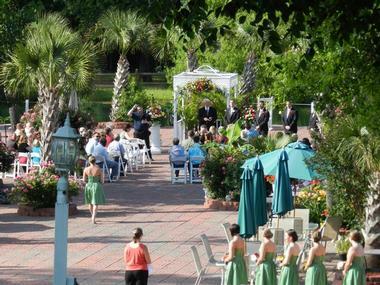 Conveniently located within easy access from uptown Charlotte and the Charlotte-Douglas International Airport, Pine Island Country Club caters for all types of events, from intimate ceremonies to large gatherings of up to 200 guests. The club also offers an array of accompanying services, such as meal and beverage options with extensive catering menus, audio and visual amenities, full service bars, in-house event planning and management, and professional wait staff. Boasting an elegant blend of boutique elegance and contemporary style, the Renaissance Charlotte SouthPark Hotel offers a beautiful venue for weddings, receptions, and other momentous occasions. 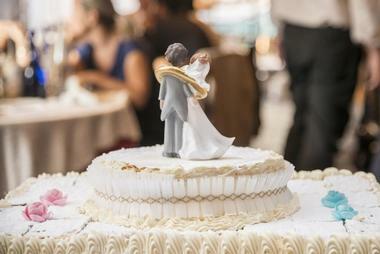 Tailor-made wedding packages offered by the hotel include a selection of stunning venues, ranging from grand ballrooms to intimate gathering spaces, culinary services, and tasting menus to a certified wedding planner, event manager, parquet dance floor, and staging for musical entertainment. 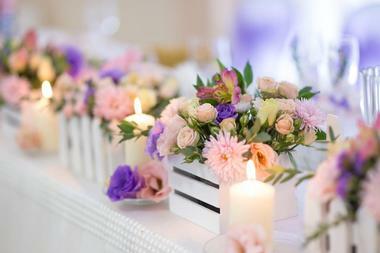 Additional services include floor-length cotton linens and napkins colored to choice, votive candles, glass hurricane globes with taper candles, a cake cutting service and a Champagne toast for bride, groom, and guests. 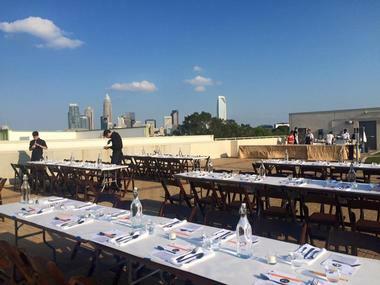 Skyline Terrace is a stunning rooftop event space located within minutes of uptown Charlotte. Boasting spectacular skyline views of the city, Skyline Terrace offers an excellent locale for all types of occasions, from intimate weddings to private year-end corporate events. While the venue does not have a dedicated dance floor, a dance space can be created on request, as well as space for live music, DJs, and other entertainment or bands. A preferred list of vendors is supplied as well as an on-site event planning and management team, and additional services include secure parking in the building. The luxurious Ballantyne Hotel offers more than 30,000 square feet of unique indoor and outdoor venues, ranging from elegant ballrooms and picturesque lawns to formal meeting rooms and boardrooms for all types of events. First-class services and amenities include an experienced event planning and management team, award-winning culinary and catering services, and professional audiovisual services. Adjacent to the hotel and golf course is a 40,000-square-foot group retreat known as The Lodge, which features 35 private guest rooms and ample meeting spaces for exclusive events. Additional services include natural lighting, video production services, and complimentary wireless Internet. Built in 1915 and listed on the National Register of Historic Places, The Duke Mansion exudes an elegant blend of Southern charm and modern luxury. Located just 2 miles from the city center, the elegant mansion offers an ideal location for weddings, receptions, and other celebrations. 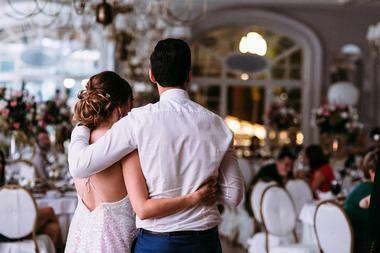 With limited availability for only 25 weddings a year, the luxurious villa can accommodate up to 150 wedding guests, with all food and beverages provided by the hotel’s executive chef and culinary team. 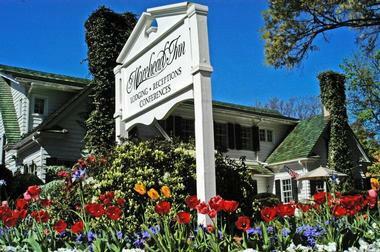 Guests can stay in the 20 beautifully appointed guest rooms and have full access to the mansion’s first-class amenities. The Majestique Center is a premier event venue for a variety of functions ranging from weddings, bridal and baby showers, and graduations to corporate events, fundraisers, and private parties. 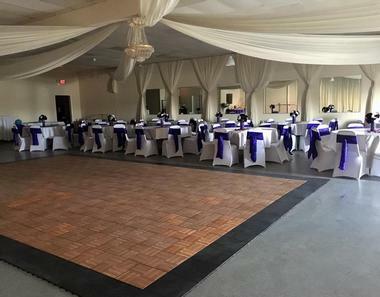 Ideal for small and intimate weddings, the Majestique Event Center offers packages that include services such as round/rectangular tables and banquet chairs, a dance floor, and a full service mobile bar. Other amenities include a food prep area with microwave, sink, refrigerator, and food warmer, ceiling and wall draperies with up-lighting, a private entrance, and complimentary parking for guests. 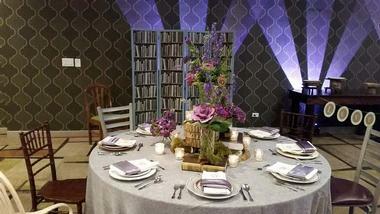 Décor can be provided at additional rates as can centerpieces, a red carpet, and stanchions. Located in one of uptown Charlotte’s most picturesque neighborhoods, the Morehead Inn is a historical Dilworth home that offers luxurious accommodations, exceptional amenities, and a beautiful location for special events. The elegant Southern estate boasts a distinct character with exquisite architecture and spectacular gardens, which provide a gracious setting for various gatherings such as weddings, social functions, and family gatherings. Services include first-class catering with private menu tastings, professional wait staff, and wedding portraits by appointment. 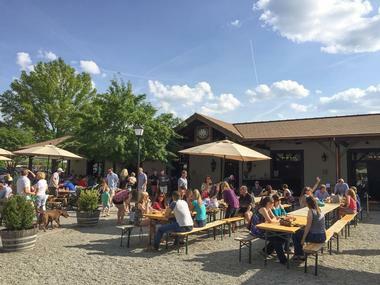 The Olde Mecklenburg Brewery is one of Charlotte’s favorite local breweries and features a state-of-the-art 60-barrel brewery, a spectacular 8-acre German-style Biergarten, and a dine-in Brauhaus. The brewery can be used for special events and functions in the 2,500-square-foot Festhalle, which has its own Biergarten and can accommodate large groups of guests. The Olde Mecklenburg Brewery also offers off-site catering for special occasions by providing customized beer plans and professional staff. Recently restored to become an elegant reception and special events venue, the 1939 Palmer Building provides banquet and reception accommodations with a spectacular backdrop for any event. The newly refurbished venue boasts a state-of-the-art audiovisual system and a one-stop shop for rentals of tables, chairs, linens, and décor as well as lists of preferred vendors, while professional wait staff can be arranged to serve food and drinks at all types of functions. Exuding a seamless blend of style, sophistication, and a touch of old-school glamor, The Ritz-Carlton, Charlotte is an award-winning luxury hotel that offers exquisite accommodations and a first-class collection of amenities, including stunning function and events venues. These range from the 6,844-square-foot grand ballroom with its 18-foot ceilings and breathtaking chandeliers and space for up to 450 people for dinner to the beautiful, multi-venue glass-roofed Urban Garden, with 10,000 square feet of space in three settings for parties of up to 350 guests. 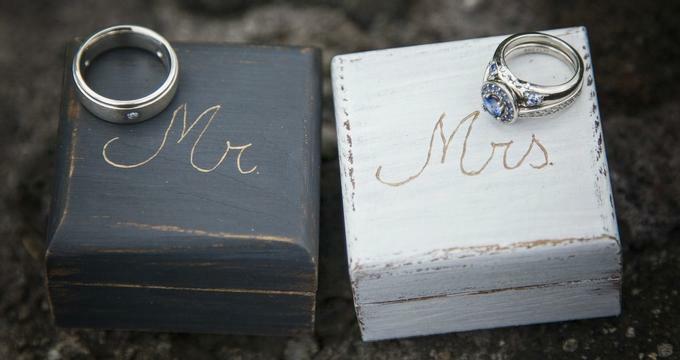 A variety of wedding packages is offered and include a Champagne toast, wine service with dinner, a full service deluxe branded bar, butler-served hors d’oeuvres, and a custom-made Designer Bar Cocoa wedding cake, among others.